As so many in the Christmas story -- the inhabitants of Jerusalem, the religious leaders, the innkeeper, and Herod missed Christmas -- likewise, so many today also miss the real meaning of Christmas which has all but been lost in the chaos of many of our legends, old-fashioned ignorance, and a few scriptures. Don't Miss Christmas carries us through a joyous celebration of the Christmas experience to a fresh look at the events of Christ's advent and an introspective look at what is the center of the Christmas experience. 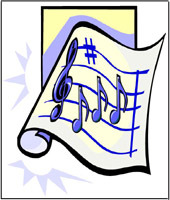 Several songs can be used in nonseasonal settings.